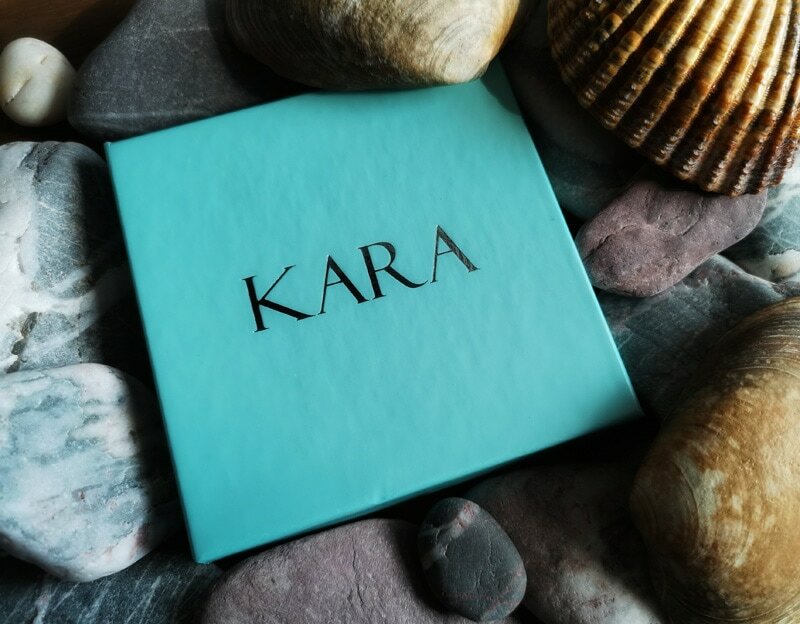 I have a special giveaway from KARA for you today, a piece of jewellery featuring one of my favourite things – sea glass! If you haven’t heard of sea glass before, it’s basically pieces of glass that are washed up on to the beach by the sea. What makes the glass special is that being thrown around by the sea smooths it and gives it a rather beautiful frosted appearance. I love finding it on the beach, you can find it in all sorts of shapes, sizes and colours. I have my own mini collection. 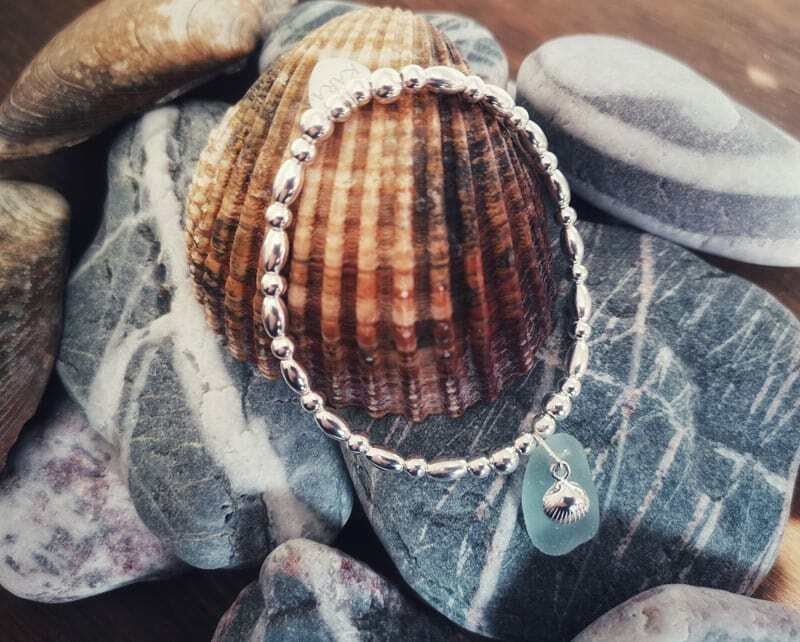 The KARA sea glass bracelet that you can try to win today is really rather beautiful, with a light blue piece of sea glass that has been drilled and added as a feature on the bracelet. The band of the bracelet is slightly stretchy and I love the effect of the silver looking beads and the mini shell. 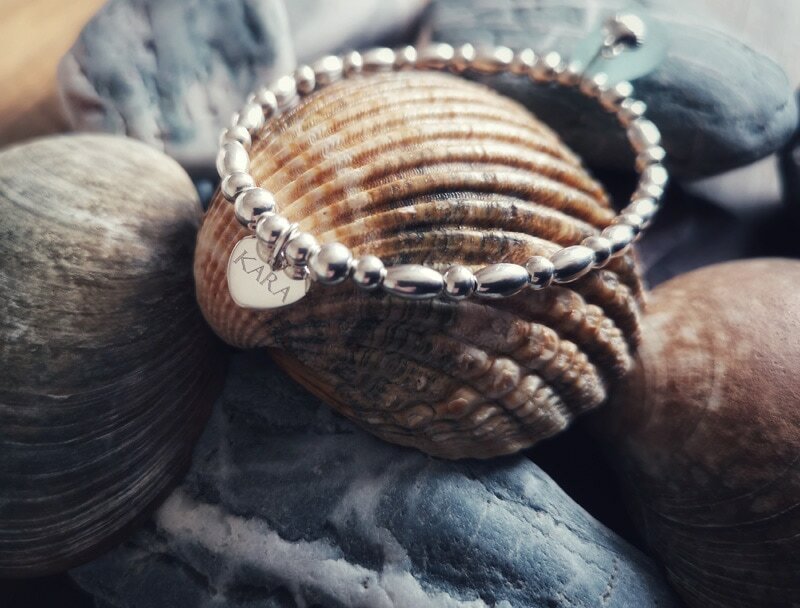 The KARA branded jewellery is actually made in St Ives in Cornwall by an independent jewellery designer Becky, who hasn’t set up her website yet – I’ll add a link once she does, Becky currently sells her jewellery through her Facebook and Instagram pages, you should check both of these out to see her other beautiful pieces. If you would like the chance to try to win the bracelet featured within this post, then please do enter via the Gleam widget below. You can find my usual competition terms and conditions here A Cornish Mum’s Competition Terms and Conditions. UK ONLY. Any entry options completed below will enter you into the giveaway. You do not need to complete all options in order to be able to win, but each additional entry option will give you more entries into the giveaway. Good Luck! Stevie x **Don’t forget to check out my Competition page for more giveaways! 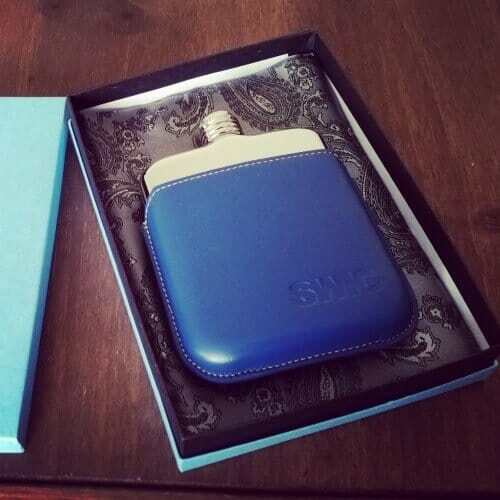 *CLOSED* SWIG Flasks – Competition! I like sea glass jewellery and this bracelet is pretty and dainty. I’d love to win because the seaglass is beautiful. It would make a lovely gift for my daughter. What beautiful jewellery, make a special gift. It is gorgeous so who wouldnt want to win! I would love to win this for myself. It’s so beautiful with the added sea glass. It would look gorgeous worn by itself and just as lovely stacked with my other bracelets. Many thanks. Jewellery is an extremely rare treat, especially a piece as pretty as this. I would love to win this beautiful bracelet for myself to wear on my holiday. I’ve always loved picking up sea glass on the beach, and it looks so pretty as jewellery! I love the design, and it’s just my style! I’d love to win so I can wear this beautiful bracelet! It’s so pretty I would love it for myself as a treat . I would love to win because I think the bracelet is so pretty! This looks like a great treat for my upcoming birthday!! I would love to win this so I can give it to my daughter, thanks. This would make a lovely gift. 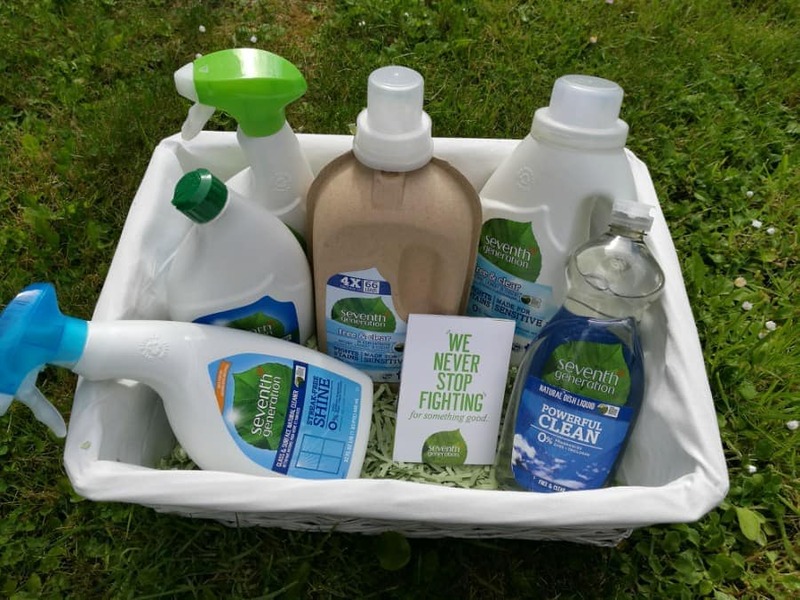 How beautiful would love to win this! It’s so pretty! because it’s very pretty and comes from Cornwall. I pick up sea glass occasionally on my local beach here in Cornwall and would love to wear a bracelet made from sea glass. I would love to win for my daughter! I love to collect seaglass , I have beautiful memories of cornwall from my collection. The sea has a special place in my heart. 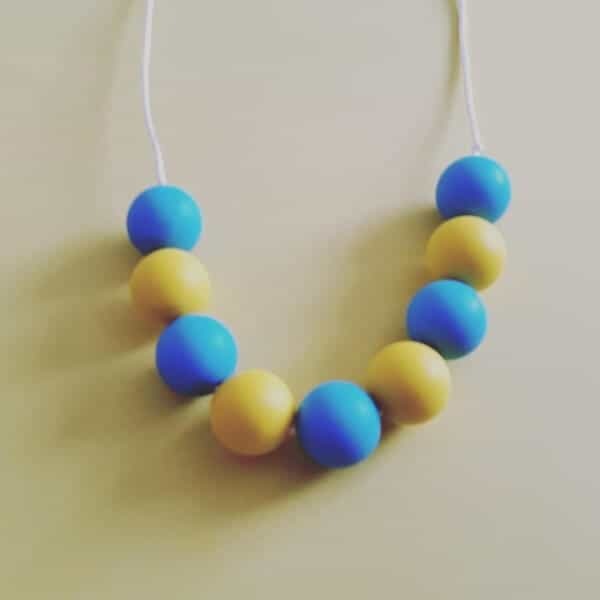 This is beautiful and i’d love to wear it to remind me of the corish sea all day long. You can never have too much jewellery! This looks like a well-crafted Cornish piece – it would be a pleasure to own it. This would make a lovely gift! 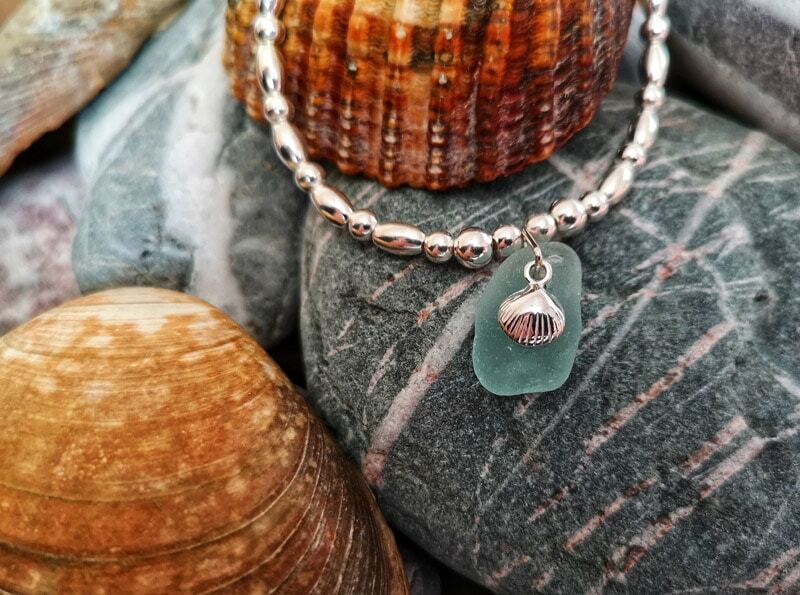 I would love to win this sea glass bracelet because it is beautiful and dainty and just perfect!! Because they are unique and look lovely. I would love to win because it is such a lovely bracelet and I would give it to my granddaughter who would love it. This lovely bracelet would remind me of holidays all year round! Absolutely stunning, so dainty and beautiful and in tune with nature. These are very unusual and pretty – I would love to win one.